On 2 January, journalist Moisés Sánchez was kidnapped by an armed group. Nine people with covered faces stormed into his house in Medellin de Bravo, a town in the wealthy eastern state of Veracruz. They searched and grabbed documents, and took Sánchez, along with his camera, laptop, mobile phone and tablet. The police took hours to come to the house. Sánchez was found dead 23 days later on the outskirts of the town. Sánchez, editor of La Unión, is the eleventh journalist to be murdered in Veracruz since Governor Javier Duarte de Ochoa took office on 1 December 2010. As well as murders, four media professionals have gone missing and there have been 132 attacks against the local press in the same period. 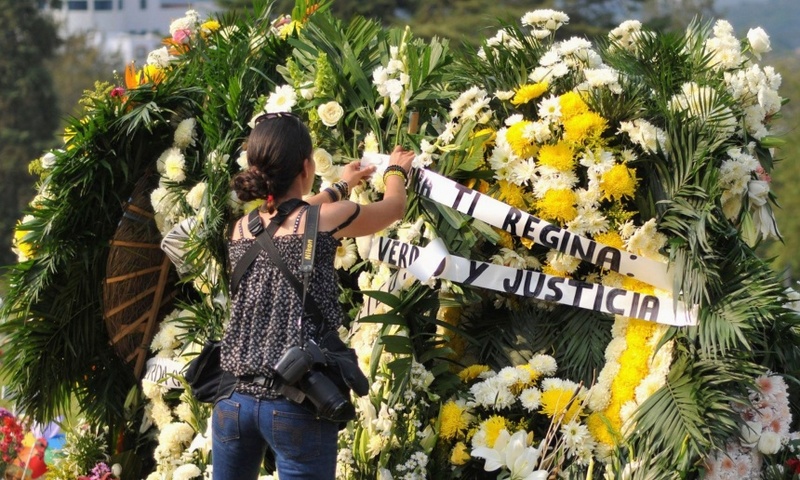 Events in Veracruz state are serious, but they are far from exceptional. In vast zones of Mexico, especially on the United States border and in areas where drug trafficking prevails, journalists at all levels have been threatened or attacked. Victims include some of the most nationally well-known commentators but more frequently are reporters writing for regional and local media, online and on social media. The free press defence organisation Article 19 documents three chilling facts: attacks against communicators are rising in Mexico, in most cases impunity prevails, and in more than half of cases the perpetrators are linked with the state. During the investigation into Sánchez’s disappearance, the entire police force of Medellin de Bravo was detained by state prosecutors. A former police officer confessed to participating in the murder, claiming he did so “by direct order” of Martín López Meneses, deputy director of the municipal police in Medellin. Sánchez had been threatened by the mayor three days before being kidnapped. In June 2011, Frank William La Rue – then UN special rapporteur on the right to freedom of opinion and expression – warned that Mexico was the most dangerous country in the Americas for communicators. La Rue documented 66 cases of murders against journalists between 2000 and 2010, and 12 disappearances between 2005 and 2010, of which few have been solved. As with diseases that have a new outbreak after they were believed eradicated this evil came back to life eight years ago, when then-President Felipe Calderón, of the conservative PAN party, declared a “war on drugs”, with logistical support and funding from the US. Violence against the press walks hand-in-hand with the violation of human rights, the criminalisation of social protest, and the so-called war on drugs. Impunity gives criminals carte blanche. Organised crime and its networks of complicity with those in political power have further aggravated the tense situation in Mexico. Many reporters and media organisations are terrified. With increasing frequency, journalists are seeking asylum in the US. Others choose to publish anonymously and many avoid writing about events that could endanger their lives. On April 2012, a new law, Ley para la Protección de Personas Defensoras de Derechos Humanos y Periodistas, was approved and certain mechanisms to protect journalists were implemented, including the adoption of cautionary actions and, in some cases, police protection of individuals under threat. But far for diminishing, violence against journalists keeps growing. In 2013 alone 330 attacks against journalists, media workers and offices were documented, making it the most violent year for journalists in Mexico since 2007. On 3 February, the Washington Office on Latin America and Peace Brigades International described the new legislation as insufficient, and said it does not provide for timely responses to demands of protection. They blame the Mexican government for discrediting and criminalising human rights defenders and organisations, and highlight the levels of impunity enjoyed by perpetrators of crimes against journalists and human rights defenders. The flip side of the lack of freedom of the press in Mexico is the high concentration of mass media ownership and control. Almost all (96%) of Mexico’s commercial television channels are in the hands of two corporations, Televisa and TVAzteca, and 80% of radio broadcasters are owned by 13 commercial groups. Some of those groups control dozens of networks. This duopoly simultaneously provokes an enormous absence of information as well as great scepticism about the news broadcast in Mexico. During the general election campaign in 2012, thousands of young people mobilised outside the studios of Televisa and TVAzteca to protest the manipulation of information. The government passed new legislation but the rules of the game essentially did not change. A new federal law of telecommunications and radio broadcasting was enacted in 2014, aiming to break down the media duopoly by creating a new private television network. It has not yet materialised. Civil society organisations were strongly critical of the new law, stating that it limits the powers of the regulating body (which should be autonomous), avoids the necessary mechanisms to fight monopolies efficiently, restricts public and social media, and ignores the rights of audiences. Press freedom in Mexico faces severe obstacles. To give guarantees allowing journalists to exercise their profession, to fight impunity, limit the power of monopolies and open spaces to public communication media are important challenges. International attention is essential. More murders like that of Moisés Sánchez must be prevented. The President of Mexico, Enrique Peña Nieto and his wife Angélica Rivera de Peña, are paying a state visit to the United Kingdom as guests of The Queen. The three-day State Visit is from 3rd to 5th March 2015. During their visit, the President and Señora Rivera will stay at Buckingham Palace. Let everyone know about the human rights abuses in Mexico! Those who lie, kill and torture are not welcome! DOWNING STREET 4 pm to 7 pm TUESDAY 3rd MARCH!! 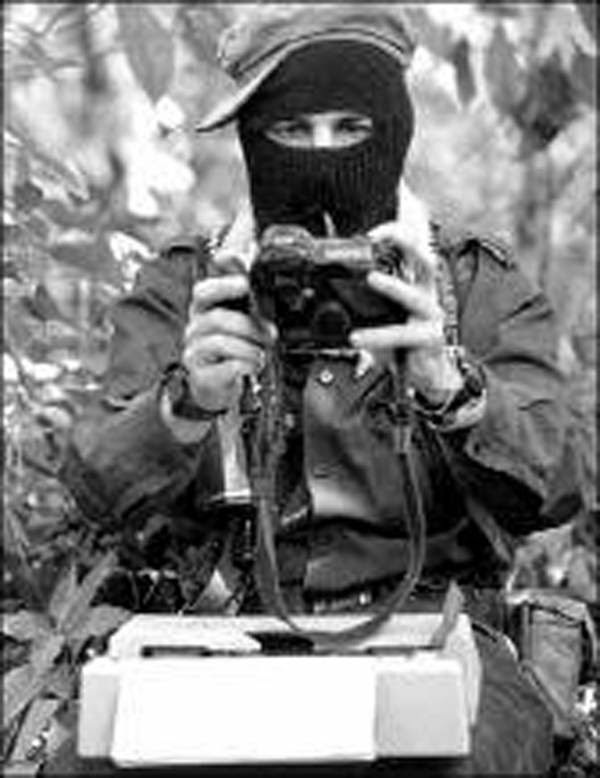 Felix Serdan Najera, the last surviving member of the Jaramillista guerrilla movement in the Mexican state of Morelos and later an honorary major in the Zapatista National Liberation Army, or EZLN, died over the weekend, his family said. He was 98. Serdan Najera died early Sunday from respiratory problems at his house in the village of Tehuixtla. He was the top aide to guerrilla leader Ruben Jaramillo, a soldier and politician who fought in the Mexican Revolution and founded an insurgent movement in 1944. The Jaramillista guerrilla movement’s core supporters were peasants and it defended the interests of Morelos’s cane cutters. 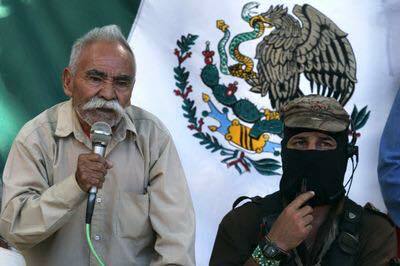 The EZLN gave Serdan Najera an honorary commission in 1994 and collected money to help the veteran guerrilla leader. Serdan Najera was present at the launch of the EZLN’s uprising in January 1994 and helped train the new generations of Zapatista rebels. On Corozonar, Bats’i k’op and Listening Zapatistas do not ask one another the Spanish ‘como estas?’, but rather the Tsotsil ‘k’uxi jav o’on’ – not ‘how are you?, but rather ‘what is your heart telling you?’ This is one example of how language can emerge from (and shape our understanding of) a place or world. It also shows the emphasis that the Zapatistas place on listening – listening to our own hearts (corozonar) and to others’. Natalio explains to us that many Zapatistas use an indigenous language or ‘bats’i k’op’ (which translates as ‘real words’) to talk to one another. He emphasises at various points the need to live in the real world. Natalio then asks us, ‘what happened to your umbilical cord?’ He suggests that this question of ‘where are our roots?’ is a question for life. If we want to grow upwards and outwards, we must find and grow roots – in our communities and in our environment. Later, Efrain suggests that finding our roots in a community is a means of recuperating and recovering our personality from capitalism in a ‘nosotr@s’ or ‘we ourselves’, or in intersubjectivity. What does work mean? We all go to a milpa or small hillside plot one morning. We help clear the overgrowth from the small plants or aloes that Natalio’s family cultivates. My academic hands are not used to using a pick or hoe; they blister quickly. After a short time, working together, we have managed to clear away quite a bit of the grassy overgrowth. Natalio then suggests we stop and we do. As we walk back, he explains that Zapatistas don’t work to a schedule but rather work until their bodies tell them they should stop. The Zapatista experience of state education – in which visiting teachers came occasionally and often proved violently disciplinarian – taught them that the state did not care about their children’s education or their future. This form of education based on writing and book-learning dates from the Conquest and is described as ‘el chan vun’. Today, the Zapatistas share a different form of education or ‘chanu’mtasbail’ in which all the community and the natural environment take on the role of ‘teacher’. Our classes are held in the same spirit. They involve a series of questions or videos or stories in the mornings that we are then invited to reflect on in the afternoon as we take part in other activities in the community. We then write some reflections and discuss these the following morning. For the Yaqui tribe, the Independence Aqueduct has been legally defeated. Tomás Rojo, spokesman for the tribe, said the megaproject is still operating because there are levels of government who have refused to obey the law and have violated human rights. 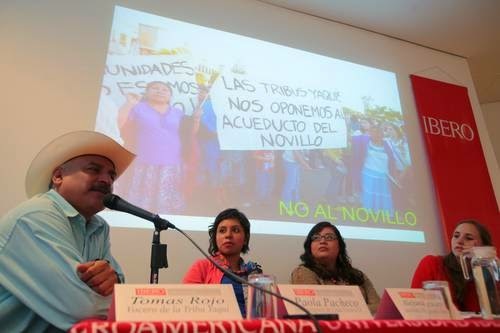 Rojo participated yesterday in the presentation of the report, A Failed Sentence: The Failure of the Mexican Government to Fulfil the Supreme Court Resolution Regarding the Yaqui Tribe’s Right to Consultation, prepared by the Civil Mission for Observation of the Consultation. It was held at the Iberoamerican University. MV Note: Under the Mexican Constitution, indigenous tribes have a right to prior consultation regarding any governmental or private project that may affect their lands. In 2013, the Supreme Court ruled that such a consultation had not been held with the Yaqui and needed to be carried out. However, early in 2015, the Court ruled that the completed aqueduct could continue to function while the consultation was being carried out. Interviewed at the end of the ceremony, the spokesman said that last Monday a committee of representatives of the Yaqui people met with the head of the Secretariat of Environment and Natural Resources (SEMARNAT), Juan José Guerra Abud, to discuss the consultation, mandated by the Supreme Court of Justice (SCJ), which must be held with the tribe regarding the aqueduct. The consultation process was stopped after the detention of indigenous leader, Mario Luna. Therefore, reported Rojo, they will insist on the cancellation of the operation of the aqueduct before the consultation is ended, because a few days ago the opinion of the National Institute of Anthropology and History (INAH) was issued, which stated that the diversion of water from the basin of the Sonora Yaqui River had caused irreversible damages to the people who belong to this tribe. The presentation of this report was lead by Alejandra Leyva, representative of the Mexican Commission for the Defense and Promotion of Human Rights; Monica Oehler Toca, from the area of ​​legal strategies of Amnesty International, and Pablo Reyna, director the Advocacy Program at the Iberoamerican University. Leyva said the Observation Mission found that the right to prior consultation is the main violation of the guarantees of the tribe, as the Supreme Court ordered it to be held in 2013, when construction of the aqueduct had already been completed and it was functioning. She said that when the consultation is finished, the tribe’s decision regarding the aqueduct should be respected, “especially if it is found that there is irreparable damage” to them. The academic Adolfo Gilly, who for health reasons did not attend the presentation, sent a text in which he questioned whether the objective of the aqueduct is to exterminate the Yaqui. For ten years the local people of El Barrio have been organizing horizontally to create non-authoritarian spaces of urban resistance and solidarity. Ten years ago, in an area of East Harlem known as El Barrio, women from fifteen Mexican immigrant families came together to see how they could achieve decent housing in their community. They were fighting against gentrification and displacement, as their landlord was trying to force them out of their homes to attract wealthier tenants and transform their neighborhood. Since they had no previous organising experience, they knew there was much to learn. They listened to and supported each other, and in December 2004 they founded Movement for Justice in El Barrio (Movement). Movement is made up of low-income tenants, the majority of whom are immigrants. Many are also indigenous. Forced by poverty to leave their beloved Mexico, they built a strong community in El Barrio, and were determined not to allow themselves to be displaced yet again. They understood that their struggle was against a neoliberal system made up of abusive landlords, property speculators, multinational corporations, corrupt politicians and government institutions seeking to push them away from their much-loved community. We believe that those who suffer injustice first-hand must design and lead their own struggles for justice. Movement is built around the principles of autonomy, self-determination, and participatory democracy, and it is based on horizontal, leaderless forms of organization. Their goal is to create spaces where people can come together as a community to share their problems. In this way they can collectively come up with solutions, and it is the community itself that has the power. Movement believes that not being dependent on anyone to tell them what to do creates a strong foundation that can never be destroyed. Consulting the community is the basis of Movement’s organizing activity. Its members go door to door, building by building and block by block, getting to know people and forging strong relationships. Committees are formed in each building, and once a whole building is organized, they become members. Each building agrees on its own actions and forms of struggle. Movement is also deeply committed to fighting all forms of discrimination and respecting differences. Above all, this means listening to one another. The group operates on many levels. In addition to door-knocking, it holds town hall meetings, community dialogues, street outreach, house meetings, and community-wide votes. It organises protests, marches and direct action. It makes clever use of the media, gives interviews and talks, and organizes gatherings. It uses tactics such as court actions and public condemnation, and once community consultations have been carried out, it campaigns on specific issues. We all share a common enemy and it is called neoliberalism. Neoliberalism wishes to divide us and keep us from joining forces. We will defeat this by continuing to unite our entire community, until we achieve true liberation for all. The organization faces many challenges. Most of its members speak no English and have had few opportunities for education. They have little access to media and information; very few of them have computers. In addition to all of the responsibilities that come with family life, they are forced to work ten- to fourteen-hour days, six or seven days a week. This makes it difficult for them to also attend four- or five-hour meetings to make decisions, and it is difficult for everyone to come together at the same time. Because everyone must be consulted, and all decisions are made collectively, it can take a long time to reach an agreement. Yet in spite of all these difficulties, the commitment and achievements of its members have been remarkable. In keeping with its principles, Movement accepts no government funding and has no involvement with politicians or political parties. Its members know that it is essential to build bridges with other ignored, forgotten and marginalized communities including women, migrants, people of colour, and the LGBT community, and to build relationships with members of these organizations, who are also fighting against multiple forms of oppression. Together, we resist with dignity and fight back against the actions of capitalist landlords and multinational corporations who are displacing poor families from our neighborhood. We fight back locally and across borders. We fight back against local politicians who refuse to obey the will of the people. We fight back against the government institutions that enforce a global economic, social and political system that seeks to destroy humanity. Human beings were born to live in community — we cannot survive without each other. A society and culture that promotes individualism, everyone for themselves, also promotes loneliness, isolation and despair. Ten years ago, Movement’s current members did not even know each other, and they had no fellowship with the other inhabitants of their building. Now they resist, organize and celebrate victories together. They have built a community of friendship, love, trust and solidarity, and transformed their lives. Many of the members of this remarkable organization believe that their greatest achievement over the last ten years has been to build a culture of resistance. This has led to a sense of identity and self-worth, of being a part of something that gives purpose and meaning to their lives. A new generation of children are growing up in an amazing environment of organizing, marching and of collective decision-making, and it makes a lasting impact on their lives, shining through in their vibrant community spirit. We have found ways to make our voices heard and to let our voices echo with the voices of other marginalized people resisting across the world. When Movement was founded in December 2004, its members had no previous organizing experience. They began to look for other dignified struggles to learn from. 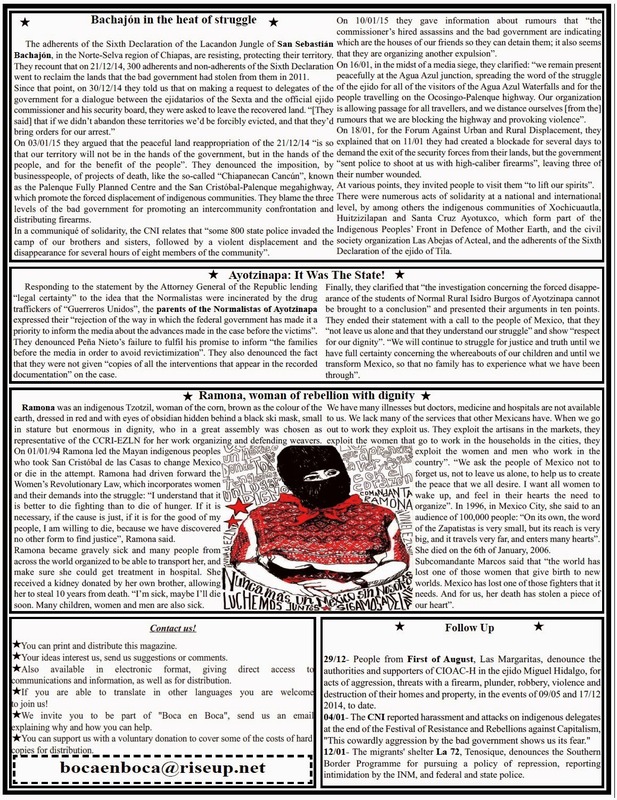 When they read the Zapatista’s Sixth Declaration of the Lacandon Jungle, released in June 2005, members saw a mirror of themselves reflected in it. 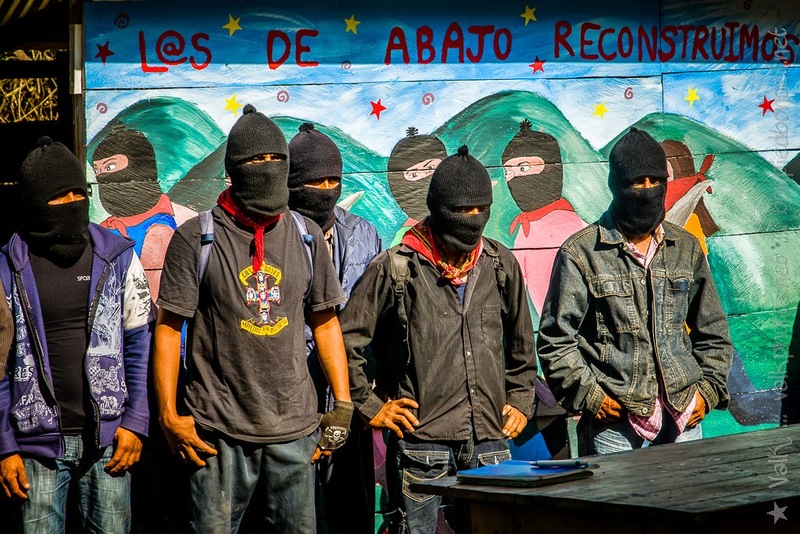 Since then, they have developed their own form of urban Zapatismo, and continue to look to their Zapatista compañeras and compañeros for inspiration in their daily struggle for justice and collective liberation. With the women, as always, at the forefront, Movement has applied tools and ways of organizing they learned from the Zapatistas in their own local struggle. The Consultas de Barrio are fundamental to their work. These are neighborhood consultations that enable all local residents to identify the issues which most concern them. These consultations build and strengthen the community at the local level, helping them bring more people into the struggle, and ensure that all of their campaigns are driven by the entire El Barrio community. An Encuentro is a space for people to come together; it is a gathering. An Encuentro is not a meeting, a panel or a conference. It is a way of sharing developed by the Zapatistas as another form of doing politics: from below and to the left. It is a place where we can all speak, listen and learn. It is a place where we can share the many different struggles that make us one. As they celebrate their tenth anniversary, Movement now has 900 members, 80% of whom are women, spread out over 85 building committees. Its dignified resistance continues to grow. Movement and its members have won numerous victories against the brutal landlords and multinational corporations who try to take away their homes and destroy their community. They have held politicians and city institutions to account and constructed a culture of resistance and a community of solidarity. They have formed strong bonds with groups in many countries, and their word has been heard around the world. As the Zapatistas say, the struggle continues. We are struggling for housing, for education, for health, for freedom, for justice, for love, for a voice, for a space to exist, for peace, for respect, for ourselves, for our community, for dignity…for humanity. We stand in resistance, here, in our corner of the world. Together we will build a world where many worlds fit — un mundo donde quepan muchos mundos. Jessica Davies is an activist and member of the UK Zapatista Solidarity Network. This article was originally published on Dorset Chiapas Solidarity. Fray Bartolomé de Las Casas, AC. This Center for Human Rights received reliable documentary information about the forced displacement of 57 indigenous tojolabales, 12 of which are minors, one newborn, 20 women and 25 men residents of Primero de Agosto, action perpetrated by members of the Historic Independent Central of Agricultural Workers and Peasants (CIOAC-H), who are protected in the region by the municipal government of Las Margaritas. According to reports, today at 8:00am, 50 members of the CIOAC-H, including Reynaldo Lopez Perez, Comisariado Ejidal, Antonio Mendez Perez, Agente Auxilar; and other authorities of the Ejido Miguel Hidalgo, municipality of Las Margaritas, entered the communityof Primero de Agosto, carrying high-powered weapons, surrounding the houses of the villagers, which resulted in the forced displacement of residents who fled for the nearest road to their community where they are currently in serious conditions for women and children, as they have no shelter, food, or security against possible aggressions by people from the ejido Miguel Hidalgo. First: The necessary measures are taken to ensure the human rights of the displaced individuals, in accordance with the Guiding Principles on Internal Displacement and other international treaties signed and ratified by the Mexican State. Second: The investigation and punishment of those responsible for the displacement and damage to property and belongings of the residents of the community. As well as the omission incurred by municipal and state authorities, who have not given adequate and effective attention to this matter. Third: Provide integral attention considering the guiding principles of internal displacement in the areas of humanitarian aid and reparations and compensation to indemnify private rights and safe reintegration or resettlement of the displaced families. On January 22, 2015, Governor Manuel Velasco Coello, as well as various authorities were alerted on accusations in writing of an impending displacement made by authorities of the Ejido Miguel Hidalgo against settlers Primero de Agosto, municipality of Las Margaritas, where they were literally given a deadline to leave the land. 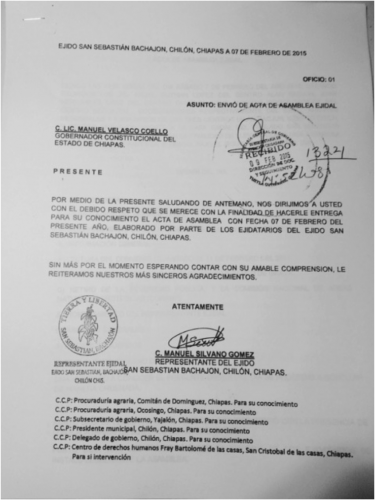 After several meetings of dialogue, the government of Chiapas reported in writing, on January 28, 2015, through the official document SG.SSORF/000123.004/131/017/15, signed by Lic. Jesus Esquinca Meza, Undersecretary of the Government Region XV, Meseta Comiteca Tojolabal, which said “It seems exceeded in order to find a solution to the conflict, given the complexity of the case” and also stated that “the issue was raised to the coordination of Government Undersecretaries for attention”. 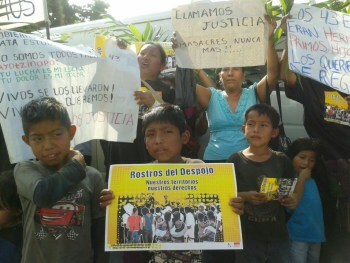 Since December 17, 2014, the Center for Human Rights issued an Urgent Action of threats of displacement against residents of Primero de Agosto , which has already been perpetrated by members of the CIOAC-H.
On August 1, 2013, 17 families, indigenous Tojolabales, in need of work and access to land, took possession of a wasteland called “predio el Roble” which was not being worked or occupied. 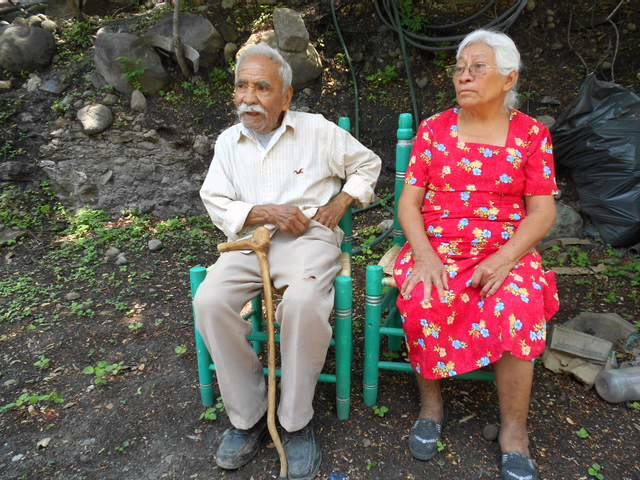 The families of Primero de Agosto have been assaulted and threatened by ejidatarios of the Ejido Miguel Hidalgo since they took possession of the land. There are many peoples who, for the cause of dignity, freedom, justice, or the needs of their community, are ready to give their life to improve the lives of their people. As we have seen in recent months, parents, families and friends of the 43 disappeared students of the Raul Isidro Burgos School, have decided to fight for their people, to not be afraid, and to have a single goal: freedom and justice. 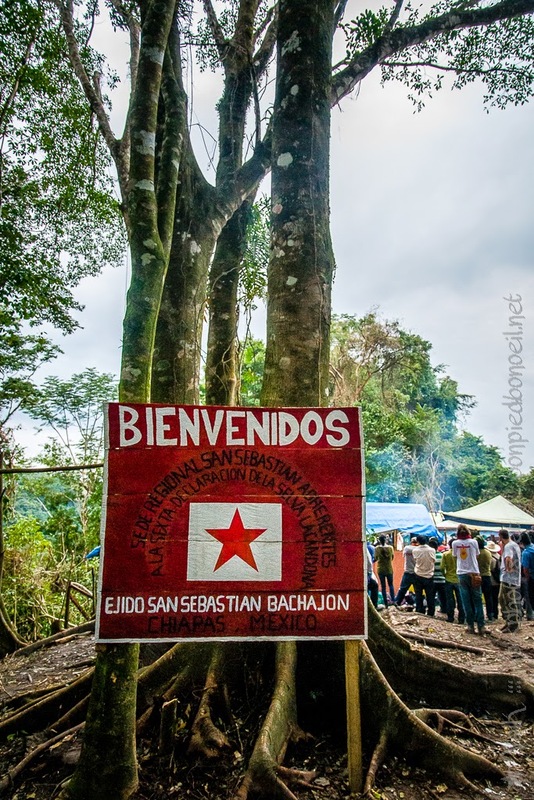 The members of the San Sebastian Bachajon ejido,who have been fighting for four years to defend their land and common goods, and to struggle for freedom and justice (intensively so since 21 December) – also for freedom and justice. Freedom and justice also for Las Abejas of Acteal, who continue to suffer repression from the government, and also continue without justice for the massacre of 1997; Freedom and justice for the members of the Tila ejido, who are defending the rights of the assembly of the ejido as their highest decision-making body; Freedom and justice for the village of Primero de Agosto, who are struggling for their rights to be respected and for a dignified life. Freedom and justice in the struggle against violence committed against women, and against migrants; Also, for the displaced people of Banavil, and for all of the members of the Indigenous National Congress, for the members of the Pueblo Creyente, in other words all those who face repression in their struggle for life. As the compañeros of the Indigenous National Congress put it: “this cowardly aggression by the bad government shows us their fear of us, those who come from below and to the left. Those who come from our communities and villages, our cities and countries to this festival, come to be together, to listen to each other and share the ways we rebel and resist, to multiply our strength in that way, and to share our pain for those who are missing”. 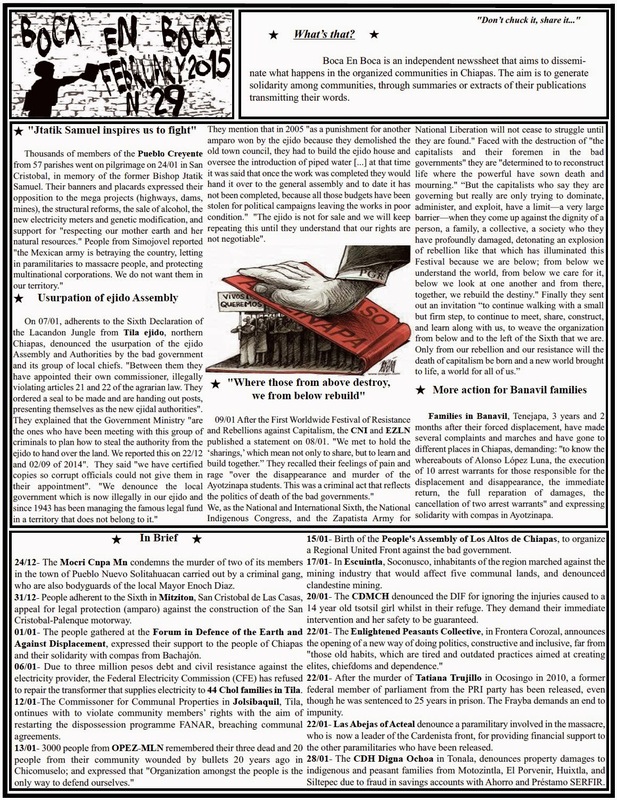 We remind you that via the PDF version of this document you can find the links to the full articles which provide more information on the stories in this bulletin. If you need this bulletin in another language, or if you are able to translate this into another language, send us an email! We also invite you to follow us on our Facebook page: “Kolectivo BoKa En BoKa”. 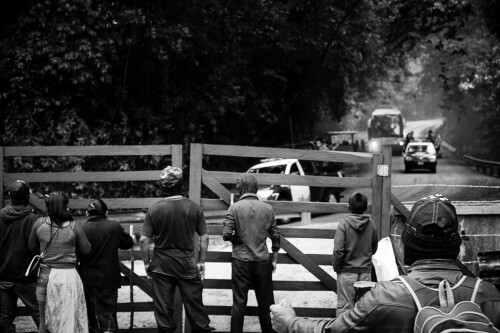 Ejidatarios from the PRI, guarded by several police cars and trucks of the state police, have entered in recent days the area of Agua Azul where the organized ejidatarios of San Sebastián Bachajón are to be found. According to their affirmation, there are threats of eviction and they are aware that an ambush is being prepared to evict the Regional Headquarters and displace the ejidatarios from the recuperated area which belongs to the ejido of San Sebastián. 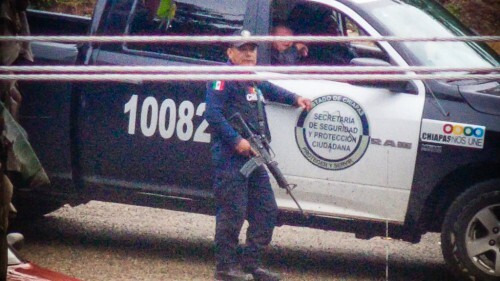 The first intrusion took place last February 19 at 9 am, when about 45 officialists (pro-government,) party members, and people from the ejidal commission of Alejandro Moreno Gómez came to Agua Azul guarded by several police cars. They gained access to Agua Azul by the Pinquinteel turning in the municipality of Tumbalá, and by the Saquil.Ulub turning in the ejido of San Sebastián. Once there, they intimidated and threatened the compañer@s who are guarding the San Sebastián Regional Headquarters and those who are charging entrance fees to Agua Azul. The commissioner Alejandro Moreno Gomez insisted on making arrangements to collect [the toll] together with the independent ejidatarios from Agua Azul in Tumbalá. But they denied that CONANP has again become the administrator of the natural resources and the income they generate. Having failed to reach any agreement, the party supporters withdrew along with state, municipal and judicial police at 4pm. On February 20, the party supporters returned, entered again and set up camp on the land which was dispossessed in 2011, guarded by 3 state trucks. 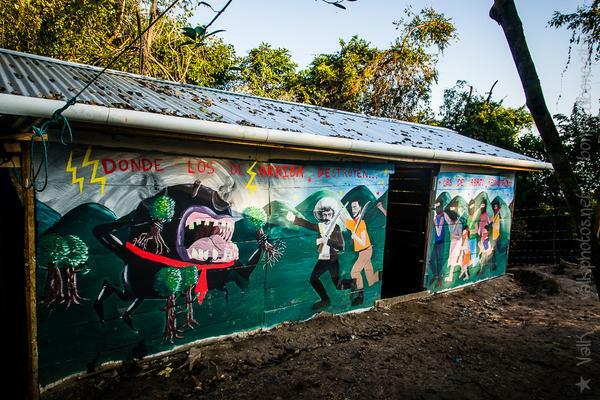 Another form of repression and harassment being suffered by the ejidatarios adherents to the Sixth Declaration of the Lacandon Jungle is by the legal and media path through the construction of crimes. The main accusation that they receive is that of being the authors of the assaults that occur on the stretch of road between Ocosingo and Palenque. Already several ejidatarios have been imprisoned on charges of robbery and assault, and it appears that the municipal government plans to charge them again so as to be able to issue arrest warrants as a result of some events which occurred on 17th January. 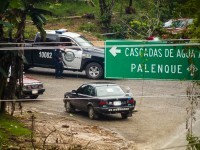 On 17th January three attackers were arrested on the section of the highway between Ocosingo and Palenque. These offenders have been known to the police who patrol this section for the last four years. In spite of this, in the prosecution district Selva Palenque, Juan Alvaro Moreno from Xanil is negotiating their release. 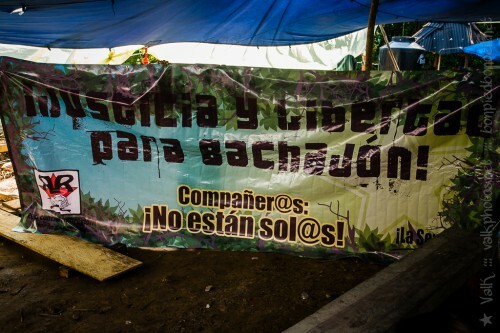 As the organized ejidatarios explain, it is intended to blame the adherents to the Sixth Declaration of the Lacandon Jungle for the crimes committed by these criminals, telling the population and the tourists that the “hooded ones” are the attackers. By referring in this way to the ejidatarios adherents to the Sixth, the police seek to create confusion and fear to divide the population. The media are also complicit in this strategy of governments and big businesses to criminalize the independent ejidatarios and the adherents to the Sixth. Through various media campaigns in which they emphasize the uncertainty on the highway, making a direct associated between the roadblocks and the attacks, they are justifying a supposed security plan. This plan was coordinated between the General Secretariat of Government, the security and the law enforcement agencies and was introduced on 6th February. Its application means the introduction of more police units in to the area between Ocosingo and Palenque. It is not valid to incriminate the Zapatistas [supporters] for the crimes committed on this stretch of the highway, because their struggle is against the dispossession of their lands. Some years ago the compañer@s even collaborated in the arrests of these attackers because few people live in this stretch, and the risk they pose to the security of the municipalities is well known. As an organization they should not be held responsible for these criminals because what they seek is justice. In San Sebastián Bachajón the struggle for life and territory continues: autonomy, resistance and organization. After several years, the conflict in San Sebastián Bachajón has reached a moment of high tension. On the one hand, ejidatarios both adherents to Sixth and independents, hold their positions in the area of ​​Agua Azul, defend the territory from the new Regional Headquarters of Bachajón and demand the formal resignation of the old government-supporting (officialist) commissioner. On the other hand, the national government keeps public forces in the area and supports the ejidatarios co-opted by the PRI who threaten to evict the Regional Headquarters. After several assemblies held in the centres of population of the ejido San Sebastián Bachajón, the ejidatarios from the three centres met together in an assembly held on 7th February 7 outside the ejido house of San Sebastián Bachajón. In this assembly it was agreed to dismiss the officialist ejido commissioner Alejandro Moreno Gómez, and Samuel Díaz Guzmán, president of the vigilance council, for the mismanagement of economic and natural resources, and their formal resignation was demanded. In their place, the ejidatarios declared representatives from each population centre of the ejido: Chich, Alan Sacjun and Bachajón. The minutes of the meeting were given to the governor of Chiapas, Manuel Velasco Coello, on 9th February in Tuxtla Gutierrez, Chiapas, along with other public officials, in order to report the changes occurring in the ejido San Sebastián Bachajón. At the assembly, those attending read the agreement approved, on February 11 of 2011, in the city of Tuxtla Gutiérrez by Francisco Jiménez Guzmán then ejidal commissioner and agreed to its cancellation. The agreement, which the ejidatarios never had knowledge of, declared the Treasury of the State of Chiapas to be the sole administrator of the income from the toll booth located at the entrance road to the waterfalls of Agua Azul. The management was undertaken through the National Commission of Natural Protected Areas, beyond the limits of the protected natural area within its jurisdiction and within the ejido of San Sebastián Bachajón. Indeed, that same year CONANP altered the plan of the Natural Protected Area, modifying the limits of the area established by the Decree of 1980, thus violating the territory of the ejidatarios to the benefit of the federal government through the control of the region. In this way they were exerting their activity, despite the warning of the ejidatarios and the report of independent experts from the National Autonomous University of Mexico, showing that they were transgressing the limits of ejido. This exercise of CONANP also meant the continued presence of public forces within the territory of the ejidatarios. The assembly also agreed the obligation of the former commissioner to hand over the cash box and the audit of the accounts of the toll booth located on the road to Agua Azul. It also decided that from now onwards both the toll booth and the gravel bank would be managed by the ejido representatives of the three centres of population and by the ejidatarios adherents to the Sixth, without the intervention of government authorities. The interest of the state and national government in controlling the disputed territory needs to be mentioned, since thanks to its natural resources it is proposed as a strategic area for the tourism sector, and therefore a source of income. It is no coincidence that the arrival of the ejido commissioner that is to say, the ejidatarios from the PRI, in Bachajón, took place in 2007, just when the Palenque Integrally Planned Center (CIPP) was introduced. The CIPP is a macroproject for the construction of infrastructure and the equipping of areas for tourist development in the area around Palenque. The entrance of the PRI into the role of ejido commissioner brought new conflicts, including the lack of transparency in the management of the toll booth on the road to Agua Azul. It also created a social divide between pro-government and independent ejidatarios which is heightened day by day through some counterinsurgency strategies of the state. Strategies known as aid programmes, basic food baskets or even the handing over of housing in poor condition to party supporters and voters in order that they remain faithful to the party political leaders, and in extreme cases, that they will participate in forced evictions. Specifically, an assembly of officialist political leaders and ejidatarios from the PRI decided to evict the Regional Headquarters after Tuesday 10th February if the national public forces had not done so by then. The assembly was held on Sunday 1st February 1 in Bachajon, in the municipality of Chilón and was attended by the officialist ejido commissioner and by several political officers of the PRI from the municipality of Chilón and the region. 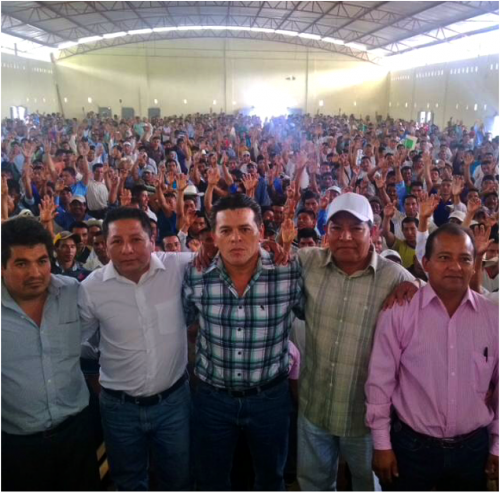 In the assembly, the PRI leaders accused the ejidatarios, adherents to the Sixth, and the independent ejidatarios of San Sebastián Bachajón of having regained control of the territory located around the community of Agua Azul, in the ejido San Sebastián. Likewise, the local leaders insisted to the PRI ejidatarios that they themselves should be the ones to evict the organized ejidatarios if the federal government did not do so during the ten-day period ending on Tuesday 10th February. This agreement was made with the complicity and consent of political officers from Yajalón and neighbouring municipalities, and the Undersecretary of Government of the fourteenth region, which includes the municipalities of Chilo, Yajalón, Ocosingo and Tila. As shown in the photograph, several political officers were present during the making of the agreement, including members of the officialist ejidal commission of San Sebastián Bachajón such as Alejandro Moreno Gómez, ejido commissioner; Samuel Diaz Guzman, from the vigilance council and Manuel Moreno Jiménez, training adviser to the officialists and lawyer to the officialist commissioner of San Sebastián. But also members of neighbouring municipalities such as Oscar Miguel Sánchez Alpuche, undersecretary of government of Yajalón and Francisco Demeza, government delegate of the government of Chilón in the Undersecretariat of government in region XIV. It would not be the first time that this happened. In February 2011, Carmen Aguilar Gomez and Francisco Guzman Jiménez, the ejidal commissioner at the time, were the officials who led the PRI ejidatarios to evict the organized ejidatarios from the area around Agua Azul. Their intervention was supported by the state government at all times. Proof of this was when the following day, national and state public forces entered the territory and arrested 117 ejidatarios adherents to Sixth under the pretext that it was all an intra-community conflict. Compañeros and compañeras, we inform you that the bad government is using a strategy of supposed tourist businesses to create an environment of persecution against indigenous communities, but especially of our organization, through false accusations of assault on the highway and organized crime, in order to undermine our struggle by presenting us as thieves or criminals, for this reason they are increasingly sending police to our region of San Sebastian, which is near the Agua Azul turning on the road from Ocosingo to Palenque, because they can find no way to stop us defending our territory and as they see that more and more of the brother and sister ejidatarios are opening their eyes to the bad policy of the government and therefore leaving increasingly more isolated the ejidal commissioner Alejandro Moreno Gomez and the vigilance councillor Samuel Diaz Guzman, who have no one to embrace them but their patrons the bad governments. 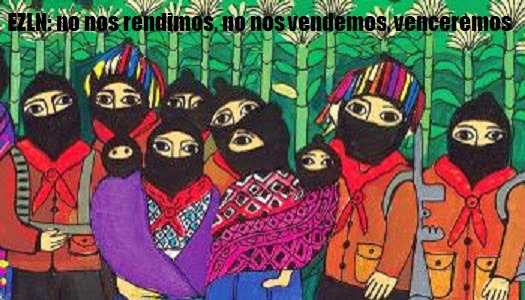 This trick of the bad government to accuse us of false crimes of assault and organized crime is the same as in 2009 and 2011, when they imprisoned the political prisoner compañeros for defending the land, but we are not afraid of the government’s threats, we demand that the three levels of bad government respect the people and organized communities, because we will not rest in the defence of the land and our rights as a people. We demand the withdrawal of the public forces from our lands which have been dispossessed since February 2011 and of the National Commission for Protected Natural Areas. We demand freedom for our political prisoners Juan Antonio Gómez Silvano, Mario Aguilar Silvano and Roberto Gómez Hernández and for the unjustly imprisoned compañeros Santiago Moreno Pérez, Emilio Jiménez Gómez and Esteban Gómez Jiménez. A “Cancun for Chiapas”, the “Entrance to the Mayan World”, “the Mayan route, the end of an era, for you, a new journey”: all of this in the northern zone of Chiapas, a key location for the economic development plans of the state government. In 2007, media coverage took off with the announcement of the CIPP (Centro Integralmente Planeado Palenque, or “Palenque Holistically Planned Centre), a development that had been mothballed for eight years. The plan aimed to bring together a series of mega projects, taking in the waterfalls at Agua Azul and Misol Ha, the beaches at Catazaja, the Mayan ruins at Palenque and the surrounding Lacandon Forest. The concept included not only hotel developments, a theme park, golf course and residential and commercial development, but also an airport for Palenque (opened in 2014) and a motorway connecting San Cristobal de Las Casas and Palenque. This development prospect would affect at least seven municipalities in Chiapas: Catazajá, Chilón, Ocosingo, Salto de Agua, Tumbalá and Palenque. There is however an obstacle in in the way of these projects and their implementation, one which also lies between the ambitions of hotel and construction companies and the abundant nature of the region. This obstacle is the ancestral territory and the ejidos of the indigenous peoples of the region, in particular the Tseltal Mayans of San Sebastian Bachajon. It’s enough to flick through the novel Balun Canan to get a sense of the contempt of the colonisers, as well as the struggle for the land, which has been the experience of the Tseltal people for 522 years. After the Mexican revolution of 1910, land was redistributed to peasants through the communal structure of the ejido. This was also achieved after the 1994 Zapatista uprising, when indigenous people across Chiapas managed to recover other lands from the hands of big land-owners. Today, these ejidos and communally-owned territories still exist. Some are forest; others are used for cattle ranching or for the cultivation of maize or coffee. The Tseltal people of San Sebastian Bachajon were late in obtaining official recognition for the lands of their ejido, which only took place in 1980. The ejido’s lands cover around 70,000 hectares, making it one of the largest ejidos in the country. As in all ejidos, power to make decisions over any part its territory lies only with the ejido’s general assembly. The position of ejido commissioner (today occupied by Alejandro Moreno Gomez) has a role limited to executing decisions made by that assembly. The current conflict in the ejido dates back to the launch of the CIPP project, and worsened with an armed eviction that took place on 2 February 2011. This was carried out by a group from the villages of Pamala and Xanil, headed by Manuel Jimenez Moreno and Juan Alvaro Moreno respectively, with the support of around 800 state and federal police. Following this, in March 2011 Franciso Guzman Jimenez, ex-commissioner of the San Sebastian Bachajon ejido, made an agreement with ministers from the government of ex-Governor of Chiapas, Juan Sabines Guerrero and with representatives of the village of Agua Azul, which handed over an area of land to the Chiapas state government and to the National Commission for Natural Protected Areas (CONANP, from its initials in Spanish). Under this agreement a tollbooth was set up on the road leading to the waterfalls, at the point where the ejido’s lands border those of neighbouring Tumbala municipality. None of this was done with the free, informed and prior consent of the ejido members. In response, ejido members, including women, children and old people, set up their own tollbooth, pledging their support for the Zapatista movement’s Sixth Declaration of the Lacandon Forest. In February 2014, the Los Llanos ejido, located in the municipality of San Cristobal de Las Casas, and inhabited by Tsotsil Mayans, applied for an injunction against the new motorway which had been announced in November the previous year by the state Government Secretary General, Eduardo Ramirez Aguilar, on the grounds that it would affect their lands. In August 2014, an assembly in the ejido of San Jeronimo Bachajon (neighbouring the San Sebastian ejido) gave an emphatic no to the construction of the San Cristobal – Palenque motorway. From these actions arose the Movement for Defence of Life and Territory. On October 12, the Los Llanos ejido celebrated a day of resistance with indigenous peoples from other settlements and organizations, including those from San Sebastian Bachajon. Juan Vazquez Guzman, spokesman and coordinator of the Supporters of the Sixth Declaration of the Lacandon Forest (“La Sexta”), was assassinated on 24 April 2013. The authorities have yet to shed any light on his murder, or to arrest anyone in connection with it. 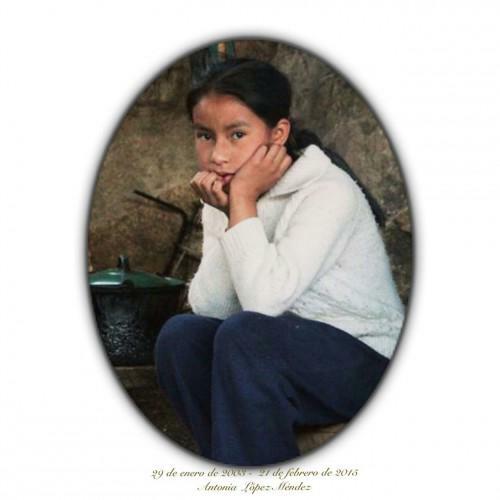 And then on 21 March 2014, Juan Carlos Gomez Silvano, the new coordinator of La Sexta in Bachajon was also murdered. More than 120 members of this group have been detained by the municipal and state police at various moments since it was founded in 2007. Currently three political prisoners remain incarcerated in State Prison Number 12, at Yajalon, Chiapas: Juan Antonio Gomez Silvano, Mario Aguilar Silvano and Roberto Gomez Hernandez. 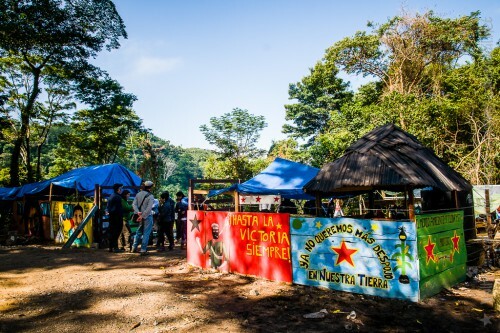 Coinciding with the start of the Festival of Resistance and Rebellions against Capitalism on 21 December 2014, members of La Sexta decided to re-occupy the land where the toll-booth had been installed. On 9 January they were evicted by more than 800 police. Last weekend, they again decided to recover the toll-booth by blocking the Ocosingo – Palenque highway at the turn-off for Agua Azul. This was achieved, at the cost of being attacked with rubber bullets and firing of live ammunition. Helicopters hovered over the area, and over the houses of La Sexta members, taking photos. At the current moment, according to the available information, police and persons linked to the ejido commissioner have control of the Agua Azul waterfalls. No-one has consulted them, no-one has asked if they need, or are in agreement with the planned mega-projects. Not to speak of respecting the autonomy that they have over their ancestral lands. For this reason the legal defence of Bachajon is based on agrarian law, on Convention 169 of the International Labour Organization, on the United Nations Declaration on the Rights of Indigenous Peoples, and on Chiapas’s Law for Dialogue, Conciliation and A Dignified Peace. These grant indigenous peoples the right to free, informed and prior consent in relation to their lands and natural resources, and the right to free determination of their affairs, among other things. “The appeal is justified on the grounds that its legal case seeks to defend the collective rights of the community against the complicity of the ejido commissioner with the expropriatory acts of the federal government and State of Chiapas. Various claims are made in it, including denial and lack of access to justice by indigenous peoples, their right to be consulted, and the need for their free, prior and informed consent”. On 19 November, the Second Chamber of the Supreme Court of Justice, decided not to accept the case. As a result, the case was returned to the Third Collegiate Tribunal in Tuxtla Gutierrez so that this body could rule on the issue of the alleged violations of indigenous people’s rights. 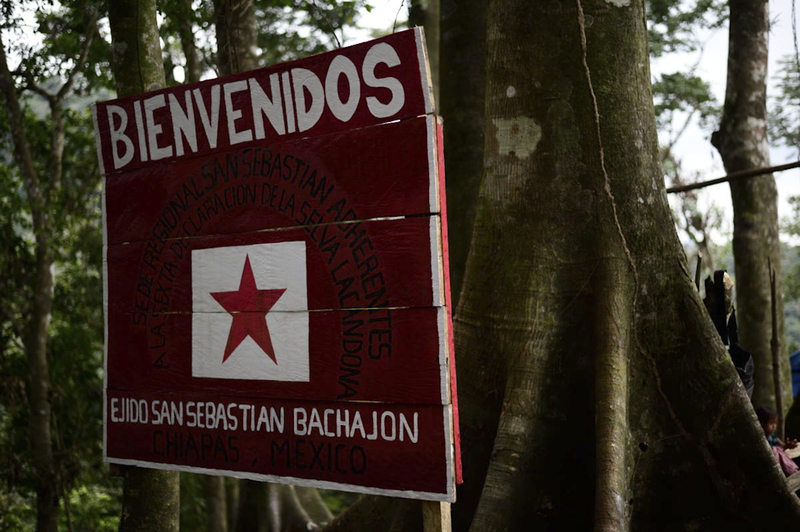 Various media in Chiapas have visited Bachajon to research news stories and documentaries on what is going on there. Websites such as Koman Ilel, Kolectivo Zero and Pozol, as well as Subversiones and Radio Zapote (in addition to other networks) have published bulletins, videos and photos about the area. 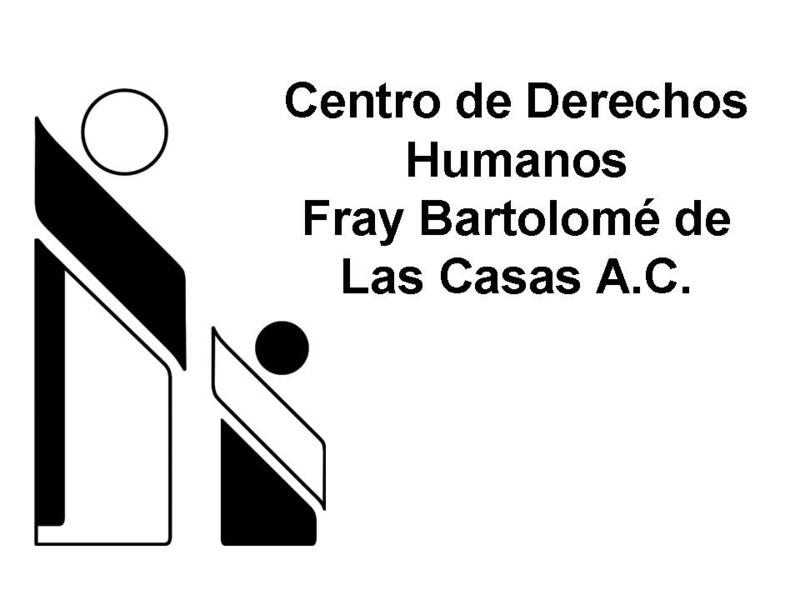 Members of La Sexta in Bachajon have also worked with the Movimiento por Justicia del Barrio in New York, as this organisation has supported the ejido since 2011, maintaining a blog for denunciations, petitions and opinion pieces (see http://vivabachajon.wordpress.com/). A year ago Másde131 [which originally published this article in Spanish] made a documentary which explains the wider context [available at this link in Spanish; English subtitles can also be selected when viewing the video] The Struggle for Life and Death at the Agua Azul Waterfalls.